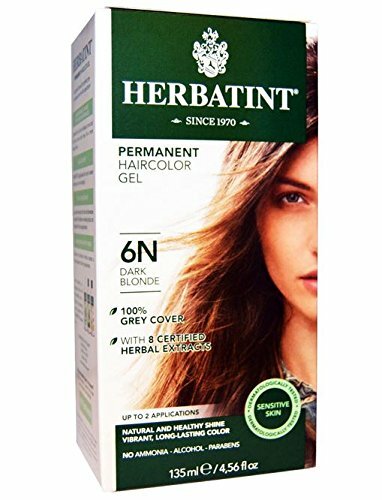 For those who are new to hair dye or hair color, it is easy to figure out what color solutions to use without thinking too much or doubting if your hair gets damaged. But for those who are sincere with the health of their hair. It would definitely leave you a question of “Is there such a thing as organic hair dye that you can safely use to keep your hair safe from harsh chemicals?” Well, glad you asked that, because yes there are hair dye solutions that are made in organic materials which means it is 100% safe for your hair. Using organic solutions for your hair or even in your skin care products would reduce the risk of getting your hair and skin damaged from those harmful and toxic materials. Organic solutions is also perfect for those who are pregnant or with disorders. Since, it is completely safe. You can rest assure that you won’t get your skin irritated, keep your hair soft, silky and healthy. If you have sensitive skin for allergic reactions, you should get a proper skin check and ask for recommendations, because even if the solution that is used are organic, there are certain ingredients that might not be suitable for your skin. Thought organic products are purely safe for everyone to use. Does It Work The Same From Other Solutions with Chemicals? The answer is yes. It works the same and the best thing is that, it doesn’t have to hurt your hair while getting it styled. You don’t have to worry if your hair is going to dry, get harmful chemicals and even damaged. Plus, it even lasts long. It’s the best solution to keep your hair healthy even if you keep changing your hair color. Thinking about getting your hair color in a salon? Well, you have to know if they are using organic solutions or not. Some salons offer organic hair dye solutions and some don’t. Most people get a mistake of choosing the wrong products though chemicals can be strong which is good for certain type of hair. But, it you really want to have a healthy hair dye? Then get to a salon where they offer organic hair dye solution. Better ask for it than get your hair damaged. Our hair is one of the things that keep us beautiful and confident. So don’t take it for granted and love your hair as much as you love your life. Now that you got an idea of hair dye organic products, you have the choice either to go organic or chemical based hair dye solutions. Many people are making a wrong decision before dying their hair, which would end up getting damaged hair. So if you are planning to get your hair dye, get yourself an organic hair dye solution. Confidently change your hair color from time to time and get updated with the latest hair trend with worry free from hair damage.